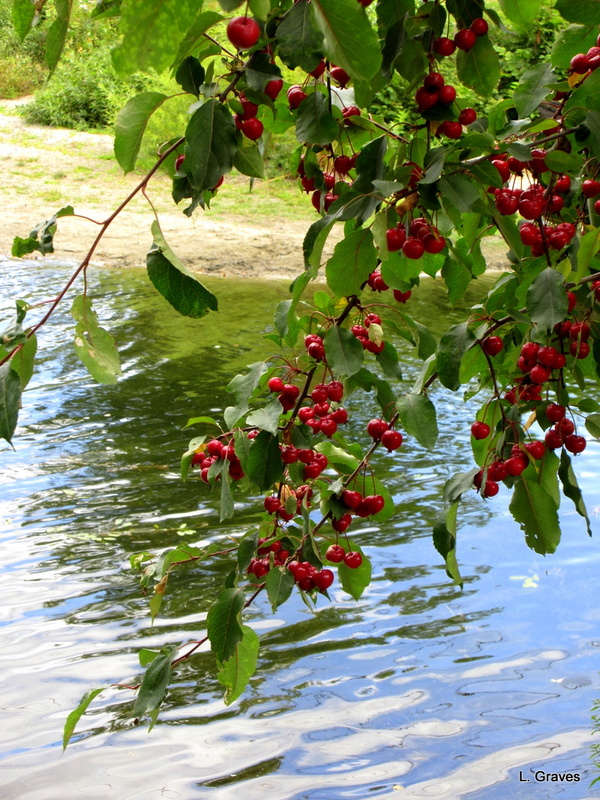 We call them crab apples, and they are very common in Maine. The ice cream is pretty tasty. The grapenuts give it a nice nutty flavor. I do love the look of a full crabapple tree! I know. Those little red apples! My mother loves grapenuts also. I will have to get her some before the summer is over. Today was the perfect day for a ride. Hope you had a nice one. They are pretty tasty and do indeed taste nutty. Good news about the de-creaking knees. Oh, yes! After four months of riding (and losing weight! ), they are 50 percent better. I can actually go up and down the stairs like an adult, instead of taking them one by one, the way a small child does. Such lovely things to be grateful for! Thanks for sharing. You are most welcome! And thanks for stopping by. Our crabapples in the front garden have turned red – they are quite pretty. In Maine, no better month than August. And this year has been a beauty. 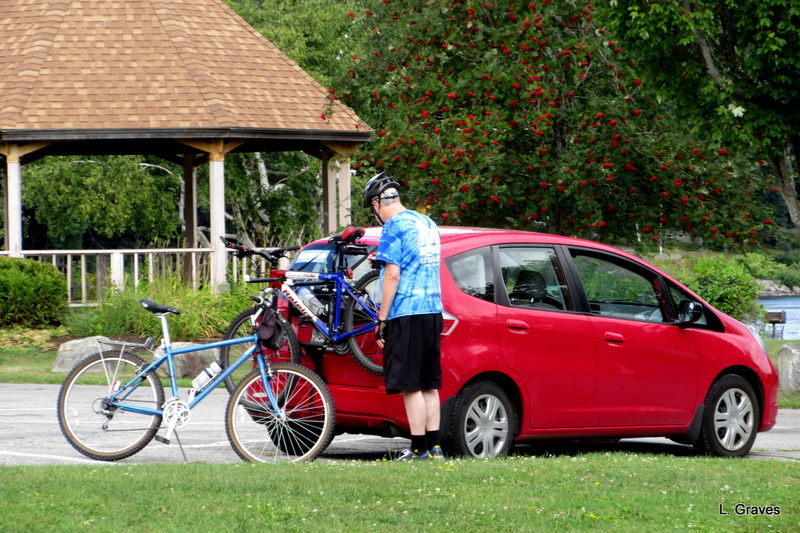 With all this sunshine, I imagine you have been able to get quite a bit of bike riding in. Such gorgeous days we’ve been having. Almost every day. Yay for gorgeous weather! Our crabapples are looking quite good too though they are not by the water which definitely makes a big difference! The water does make a lovely background. Three great things to be grateful for. Gratitude is a good practice in my experience. It gives me a happier perspective on life. I had Gifford’s ice cream when we were in Maine last summer. It was delicious! 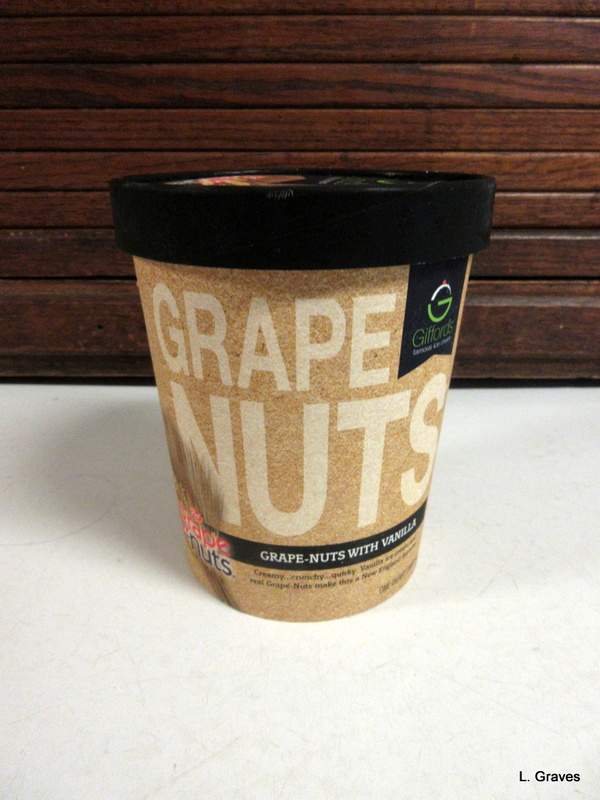 We didn’t have Grape Nuts flavor – a cereal I used to love, but haven’t had for a few years. I used to put out in yogurt for breakfast. Have a wonderful week! We drove on Sunday to the ice cream place in a nearby village. The line was so long, we had to leave! I love grapenut ice cream too. Was a big favourite (along with rum and raisin) in the Jamaica of my childhood. My goodness! Grapenut in Jamaica. Food can travel in mysterious ways. I remember Euell Gibbons, although I had not heard of Grapenut ice cream. Sounds tasty! Oh, my goodness. A jam scam! Never heard of that one. You’re most welcome! Bike on!